Milan, November 25, 2015 – “The human foot is a work of art and a masterpiece of engineering”. So Michelangelo Buonarroti described a part of the body, often considered insignificant. The foot instead, is extremely important to the overall well-being of the body. The feet are in fact our supporting structure and require special care, especially when it comes to people suffering from a chronic disease such as diabetes. “The most common complication that generates greatest concern among those suffering from this disease is that of Diabetic Foot – explains Dr. Giacomo Clerici, Head of the Centre for the treatment of Diabetic Foot at the Città di Pavia Hospital – This complaint involves the highest number of hospital admissions and produces the most significant costs for the National Health System”. “It is not acceptable in a country with such high healthcare standards to have such a dramatic incidence of amputations due to Diabetic Foot. The commitment of Harmonium Pharma for people with diabetes and attention to the prevention of its complications – adds Dr. Ugo Cosentino, Founder and President of Harmonium Pharma – involves the decision to place at their disposal a comprehensive solution which accompanies them from screening through to the development of specific products for the prevention and treatment of Diabetic Foot, from the development stage to the treatment of ulcers at the initial stages. For this reason, starting on the World Diabetes Day, we decided to organize a large number of screening days with use of the UltraBiotesiometer, aimed at early detection of neuropathy, a complication of diabetes which if not identified early and properly managed, can lead to the development of Diabetic Foot. The events are called “DIABETIAMOCI in Farmacia”, and will be free for patients until the end of the year only within a group of selected pharmacies throughout Italy which have joined The Diabetic Corner initiative, the first pharmacy area designed by Harmonium Pharma and dedicated to people with diabetes*”. Screening for early diagnosis of neuropathy with a biotesiometer is indicated in the Italian Diabetes Mellitus Care Standards 2014 (3), but is often not performed: only a small percentage of diabetics do in fact perform the test with this tool in individual reference centres. The UltraBiotesiometer is a pressure instrument which is calibrated and operator-independent. It measures sensitivity to vibrations in people suffering from diabetes. 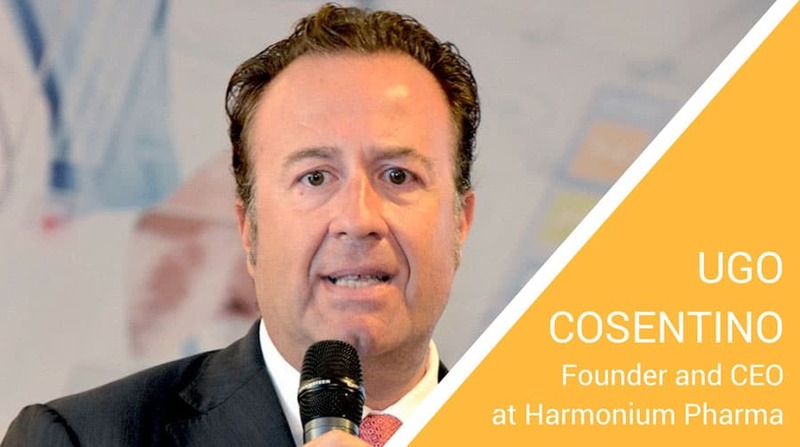 “The placing at disposal of this screening opportunity in pharmacies – Cosentino continues – is yet a further example of Harmonium Pharma’s commitment to support the dissemination of the culture and practice of the prevention of diabetes, one of the most common chronic diseases. Diabetes must not only be combatted with drug therapy, but also with proper prevention and education”. Fitting into this context is DIFOPREV®, a unique system for the prevention of Diabetic Foot, consisting of a pair of rechargeable stockings soaked in a specific glycoprotein which, gradually released for 72 hours, performs a moisturizing, soothing and healing action on the skin of the foot. During washing the stockings do not lose this active ingredient since glycoprotein release is only activated when the stockings are worn, thanks to the contact, heat and pH of the skin. After 3 days the stockings must be soaked again in the active ingredient, and then soaked in water with suitable refills. The monthly use of can be repeated 2 to 6 times a year, according to the conditions of the skin and the indications of a specialist. “DIFOPREV® – says Prof. Alberto Piaggesi, Head of the Diabetic Foot Section, in the Medical Area Department of Pisa University Hospital – is a class IIa medical device, an excellent solution for the prevention of Diabetic Foot which, combined with good glucose control and the use of specific products, non-aggressive and which moisturize the skin, is the most effective way to prevent this complication. More than 20 clinical studies have shown that the use ofDIFOPREV® helps restore the physiological degree of foot skin hydration: thanks to the increase in elastin and collagen type I and type IV,DIFOPREV® restores elasticity and integrity of skin and repairs micro surface lesions, a potential cause of infection. The use ofDIFOPREV® therefore allows deep hydration of the foot for a period of time greater than any other topical solution”. DIFOPREV® is available in pharmacies in a kit containing a pair of stockings and 9 refills for one month of treatment and in a pack containing 9 refills to repeat the monthly cycle.DIFOPREV® is just the first product based on the innovative HARMOWEAR™ transdermal hydration technology. Patented by Harmonium Pharma, HARMOWEAR™ technology permits enriching a tissue, equipped with electrostatic charge, with special active ingredients released slowly and gradually so they are absorbed through the skin surface: the result is a beneficial and lasting effect on the treated area. In future, HARMOWEAR™ technology could have many further applications, currently being tested.